Black Women have filled incredible and often unknown or understated roles in the advancement of computing throughout history. Listed below are just a few stories of technological discovery, innovation and perseverance from amazing Black women “computers”. Their legacy serves as an inspiration to the Black Women in Computing community and Black women in tech everywhere. 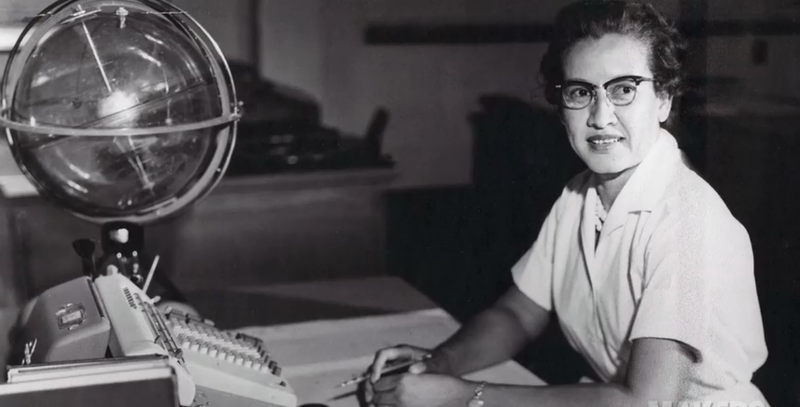 Katherine Johnson was born in 1918 and entered college at 15. 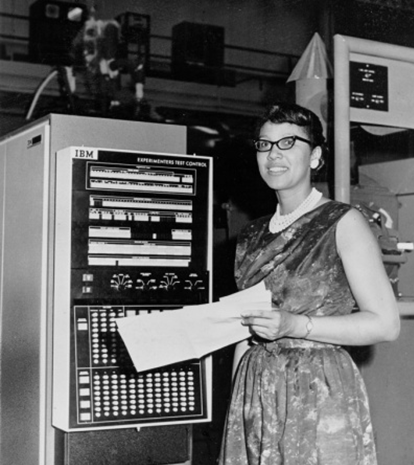 The only employment options for women when she graduated was teacher or nurse, so she taught high school before applying for a job for black mathematicians at the Langley Research Center (which would later become part of NASA). The job had just be opened to women when she applied in 1953. Johnson calculated the flight path for the first NASA mission to space. Her skills were so highly valued that when real computers were brought on the scene, NASA made it her job to verify the computer’s results! Watch her story on MAKERS! Melba Roy Mouton was Assistant Chief of Research Programs at NASA’s Trajectory and Geodynamics Division in the 1960s and headed a group of NASA mathematicians called “computers”. Starting as a mathematician, she was head mathematician for Echo Satellites 1 and 2, and she worked up to being a Head Computer Programmer and then Program Production Section Chief at Goddard Space Flight Center. Mouton was born in Fairfax, Virginia to Rhodie and Edna Chloe. She graduated from Howard University in 1950 with a master’s degree in mathematics. She started working for NASA in 1959, after working for the Army Map Service and the Census Bureau. At NASA, she received an Apollo Achievement Award and an Exceptional Performance Award. She retired in 1973. Source: “The Goddard General Orbit Determination System” (PDF). NASA. Retrieved 2013-10-21.; “Human Computer”. NASA. Retrieved 2103-10-22. 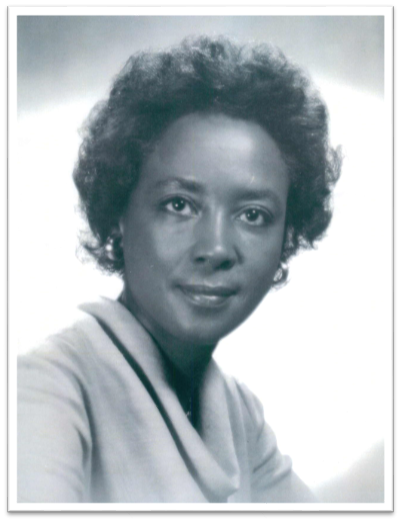 Annie J. Easley was an African-American computer scientist, mathematician, and rocket scientist who worked for the Lewis Research Center of the National Aeronautics and Space Administration (NASA) and its predecessor, the National Advisory Committee for Aeronautics (NACA) (career started in 1955, as “computer”). 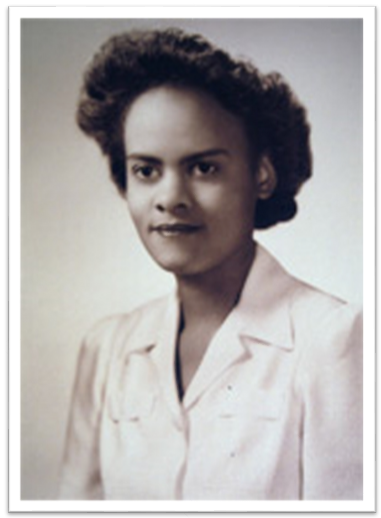 The second black woman to earn a Ph.D. in mathematics from Yale University (1949). She worked as a Computer Scientist for IBM on the Project Vanguard and Project Mercury space programs and U.S. Space Technologies Laboratories. She became a longtime professor. The following are brief bios of Black Women in Computing (in alphabetical order). This list is by no means conclusive. The content will grow and the delivery format may change as more information is discovered and as approvals for sharing this information are obtained. If you have suggestions for professionals not included on this list or any of the referenced lists below, please send an email to bwic-keeper[at]systers.org. Jamika D. Burge serves as Director of Assessment Technology Product and Research for the Smarter Balanced at UCLA, and she also has an Adjunct Professor of Computer Science appointment at Howard University. She is active in computer science education and STEM preparedness efforts, providing expertise for a host of programs funded by the National Science Foundation (NSF) and the Computing Research Association (CRA) designed to broaden participation in computer science. Dr. Burge holds a PhD in CS from Virginia Tech, where she was an IBM Research Fellow. Adobe Foundation GEM Fellow at Arizona State University. In 2015, Cheeks also founded StrongTIES to promote STEM K-12 education that emphasizes creativity, problem‐solving, collaboration and a sustainable education program using computer technologies. Danielle Cummings is a Computer Systems Researcher for the Department of Defense. She is also the founder and committee chair of Black Women in Computing (BWiC), a community focused on increasing the number of black women and other minorities in computing-related fields. Dr. Cummings holds BA degrees in CS and Art from The Ohio State University, an MS in Software Engineering from the University of Houston, Clear Lake, and a PhD in CS from Texas A&M University. Barbara Ericson is the Director of Computing Outreach for the Institute for Computing Education (ICE) for the College of Computing at Georgia Tech. She is trying to increase the quality and quantity of secondary computing students and the quantity and diversity of computing students. Ms. Ericson has BS and MS degrees in CS, and has worked in several research labs, including General Motors Research Labs, Bell Communication Research, and The Institute for Paper Science and Technology. mechanisms for medical-related social science datasets. Dr. Hill holds BS and MS degrees in CS from Georgia Tech and a PhD in CS from Harvard University. Apriel K. Hodari is a Principal Investigator at Eureka Scientific, Inc., and serves as co-leader (with Maria Ong) of the Beyond the Double Bind projects, investigating the lived experiences of women of color in science, technology, engineering and mathematics (STEM). She is an expert in STEM education research, STEM educational equity and workforce diversity, and the culture of STEM disciplines. Her work appears in over 100 research and policy publications. Mave Houston is Founder and Head of Capital One’s USERLabs. She is most interested in learning about how people make sense of the world around them and how relationships among people impact social and economic change. Dr. Houston holds a BS in CS from Spelman College, and she earned her MS and PhD degrees in CS from Auburn University. Thorna Humphries is an Associate Professor of Computer Science at Norfolk State University. Dr. Humphries’ research interests lie in the discovery of principles and developmental technologies to support the management and representation of data. She received an MS in CS and EE from the Massachusetts Institute of Technology in Cambridge, Massachusetts, and a PhD in CS from the University of Colorado at Boulder, Colorado. Sandra K. Johnson is the Founder and CEO of SKJ Visioneering, LLC, a global technology consulting firm. She is formerly the Chief Technology Officer (CTO) of IBM Central, East and West Africa, and was based in Nairobi, Kenya. She is an accomplished researcher, having earned numerous career accolades including membership in the IBM Academy of Technology and being named an IEEE Fellow and an ACM Distinguished Engineer. Dr. Johnson earned BS, MS, and PhD degrees, all in EE, from Southern University, Stanford University, and Rice University, respectively.Elva Jones is a Professor of Computer Science and Department Chair at Winston-Salem State University. Her research interests include visualization, system design & development, human-computer interaction, and CS education. Dr. Jones received her BS from Winston-Salem State University, her MS from the University of North Carolina at Greensboro, a second MS from North Carolina State University, and her PhD from North Carolina State University. Andrea Lawrence is an Associate Professor and Chair of Computer Science at Spelman College. A member of the Spelman College faculty for 30 years, one of her main interests is increasing the number of minority students and women who pursue graduate degrees in CS. She has worked with the Computing Educators Oral History Project (CEOHP) and the History Makers, and she has been involved in a number of mentoring activities including theAcademic Alliance of NCWIT and the STARS Alliance. Dr. Lawrence received her BS degree in Math from Purdue University and her PhD in CS from Georgia Tech. Yolanda Rankin is an Assistant Professor of Computer Science at Spelman College. Her research involves three primary research areas, including leveraging social interactions in video games to facilitate language learning; game design as an effective pedagogical strategy for in-creasing the number of African Americans in the CS pipeline; and participatory design of mobile-based health care services that target underserved populations (e.g., women of African descent). Dr. Rankin holds a PhD in CS from Northwestern University. Women in Computing and Arab Women in Computing. Ms. Robinson holds an MSc in Math and Computer Information Systems from Georgia State University. Glenda R. Scales serves as both Associate Dean for Global Engagement and Chief Technology Officer at Virginia Tech. She also serves as the Director of Integrated Learning Services for the College, which includes providing leadership for the Commonwealth Graduate Engineering Program (CGEP) at Virginia Tech. Dr. Scales holds a BS in CS from Old Dominion University, an MS in Applied Behavioral Science from Johns Hopkins, and a PhD in Curriculum and Instruction with a concentration in Instructional Technology from Virginia Tech. Cheryl Seals is an Associate Professor of Computer Science at Auburn University. Her research areas of expertise are human-computer interaction, user interface design, usability evaluation and educational gaming technologies. Dr. Seals earned her BS in CS and Math from Grambling State University, an MS in CS from NC A&T SU, and a PhD in CS from Virginia Tech. Valerie E. Taylor is Senior Associate Dean of Academic Affairs in the Dwight Look College of Engineering and the Regents Professor and Royce E. Wisenbaker Professor in the Department of Computer Science and Engineering at Texas A&M University. Dr. Taylor is an IEEE Fellow and a member of the ACM. She is also the Executive Director of the Center for Minorities and People with Disabilities in IT (CMD-IT). Dr. Taylor earned a BS in ECE and an MS in CE from Purdue University and a PhD in EECS from the University of California, Berkeley. Jakita O. Thomas is an Assistant Professor of Computer Science at Spelman College. Her research interests explore the development of computational algorithmic thinking, access to healthcare information and services for under-served populations, and computer-supported collaborative learning. Dr. Thomas received a BS in Computer and Information Science (with a Math minor) from Spelman College and a PhD in CS from Georgia Tech. Gloria Washington is an Assistant Professor of Computer Science at Howard University, where she runs the Affective Biometrics Lab. She has more than fifteen years in Government service and has broadly presented on her research throughout industry. Dr. Washington holds a BS in Computer Information Systems from Lincoln University of Missouri, and MS and PhD degrees in CS from The George Washington University. Tiffani L. Williams is an Associate Professor of Computer Science at Texas A&M University. During the 2004-2005 academic year, she was the Edward, Frances, and Shirley B. Daniels Fellow at the Radcliffe Institute of Advanced Study at Harvard University. Dr. Williams earned a BS in CS from Marquette University and a PhD in CS from the University of Central Florida. You can also follow additions to this growing community on Pintrest!